He a dog breed who's got it all in one small package: intelligence, affection, an extroverted temperament, humor, and a personality that's twice as big as he is. Throw in that walrus moustache and quivering enthusiasm, and he'll make you laugh every day. With a Miniature Schnauzer in the house, you'll never be alone, not even when you go to the bathroom. He's got personality-plus, and whether he's bounding around ahead of you or curled up snoozing on your lap, you'll never be bored with him around. Other identifiers: Square body frame; small and compact build; outer coat longer on the legs, muzzle and eyebrows. The Miniature Schnauzer is people-oriented and wants nothing more than to hang out with you. He's incredibly affectionate. 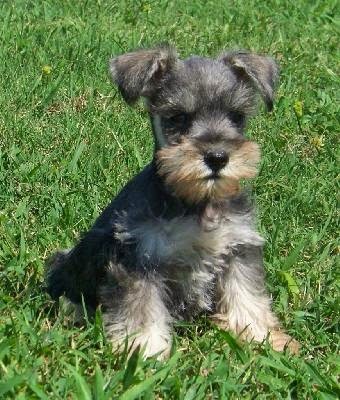 A Miniature Schnauzer is intelligent, mischievous, and often stubborn. He's full of life. He's low-shedding, but high-maintenance in terms of grooming. He needs to be clipped every five to eight weeks or so. He's noisy. Protective of home and family, he'll bark even at slight noises. He's good with kids and other dogs, but not to be trusted around small mammals. Always keep your Miniature Schnauzer on a leash when you're not in a fenced area. If he sees something and wants to chase it, he will likely ignore your calls. A bored Miniature Schnauzer is an unhappy Miniature Schnauzer. Because he's intelligent and energetic, he thrives on varied activities and exercise. Make sure that you give him both, or he'll become destructive and ill-tempered. Miniature Schnauzers are highly versatile and known to fit in well in most environments. 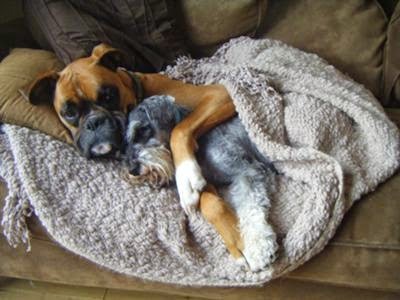 Whether they are part of a big family with lots of kids or in an apartment with one or two owners, this breed simply loves companionship of any sort. Apartment dwellers should be aware that this is a very vocal breed, and unless training starts early on, you may have barking issues to work through. This highly intelligent breed does very well with training, from basic commands to more advanced teachings. Owners must dedicate ample time and money toward grooming this breed's unique and high-maintenance coat. 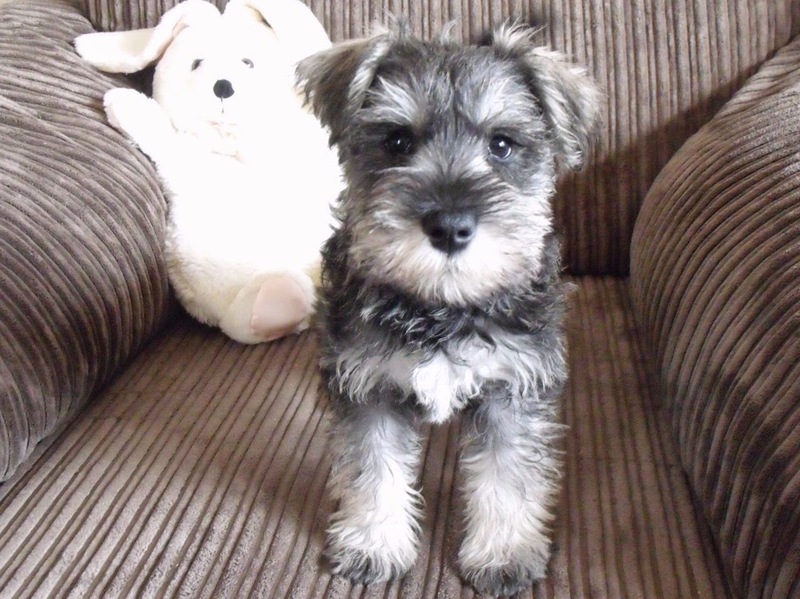 Miniature Schnauzers can only be shown in American Kennel Club conformation shows in salt and pepper - by far the most common color - black and silver, or black. White Miniature Schnauzers cannot be shown in conformation in the U.S., although they can in some other countries. 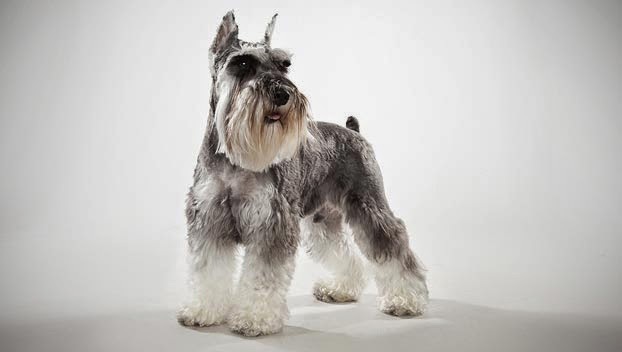 There aren't any records on how the Miniature Schnauzer was developed, but it's clear the intent was to create a smaller version of the well-established Standard Schnauzer. 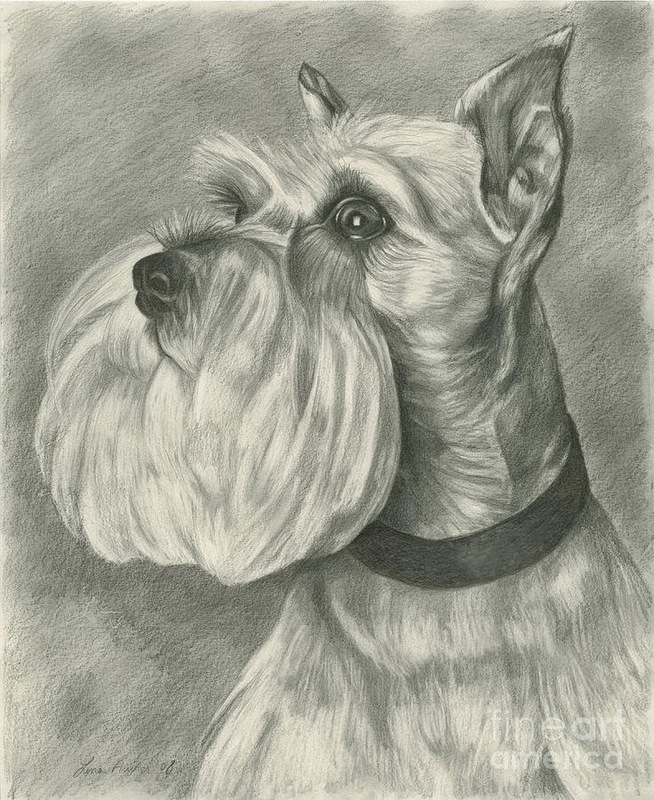 The earliest record of a Miniature Schnauzer was a black female named Findel, born in October 1888. In 1895, the first breed club was formed in Cologne, Germany, although it accepted several types of dogs. World Wars I and II were hard on dog breeding, particularly in Europe, where some breeds were nearly lost. But interest in Miniature Schnauzers boomed after WWI, and the dog's popularity has never waned since. One aspect that has changed since the early days is the preferred colors. You used to be able to find a Schnauzer of almost any size in red, black and tan, yellow, or parti-color — but not today, when shades of black and silver are the rage. Just as feelings about ear cropping shift with the times, the Miniature Schnauzer's look may change again. An interesting aside: While the Miniature Schnauzer is considered a Terrier by the AKC, the Standard Schnauzer is classified as a member of the Working group. A Miniature Schnauzer is full of life. An extrovert, he loves to be in the thick of the family action. He may even run up to you while you're sitting down and throw his paws around your neck. He wants to touch you and be next to you all the time, and you can bet he'll want to sleep plastered to your side. A bit of a spitfire, the Miniature Schnauzer is a terrier , that means he's full of himself. He's a feisty type A and his work involves amusing himself. He is not aloof or independent but needs to be with people, and what's more, he wants to be in close physical contact. He's very intelligent, which makes training easy, but it also means he's a master of manipulation. That combined with his stubbornness will keep you on your toes. He's not as feisty as some terriers, however, nor as dog-aggressive. As with every dog, the Miniature Schnauzer needs early socialization,exposure to many different people, sights, sounds, and experiences , when they're young. 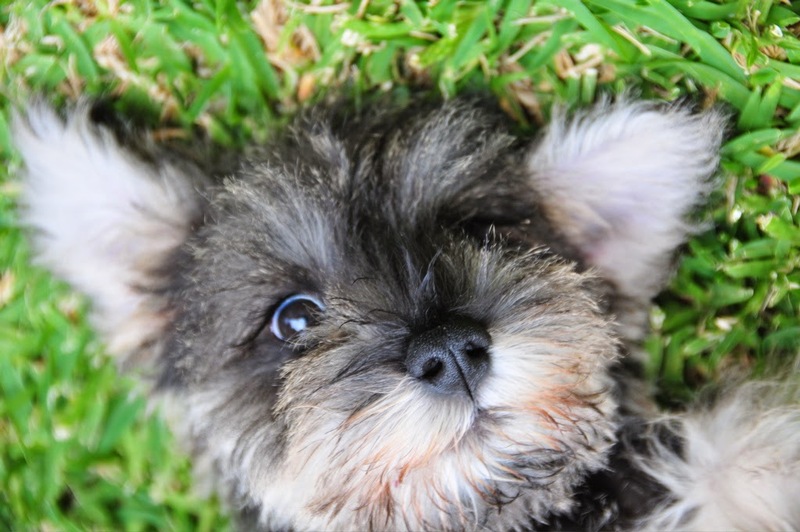 Socialization helps ensure that your Miniature Schnauzer puppy grows up to be a well-rounded dog. The Miniature Schnauzer likes hanging out with his people — he lives for it, as a matter of fact. He's good with children, particularly if he's raised with them. He'll play with them and protect them and they'll help each other burn off steam: kids and Miniature Schnauzers are a great combination. A Miniature Schnauzer usually plays well with other dogs — he isn't one of those terriers who can't play nicely with others. He typically isn't as aggressive toward other dogs as many other Terriers are, but he is brave and fearless around large dogs, a trait that can get him into trouble. He is large and in charge, at least in his own mind. Small mammals such as rats and gerbils, however, aren't good matches for the Miniature Schnauzer, who is hardwired to kill them. Training won't change that; that's what he's bred for. The Miniature Schnauzer is active when inside the house, playing with toys and following you from room to room. He loves to have a yard to play in, but he'll do well without one if you give him a long walk every day. He needs 45 minutes of daily exercise — remember, a tired Miniature Schnauzer is a good Miniature Schnauzer. Crate training benefits every dog and is a kind way to ensure that your Schnauzer doesn't have accidents in the house or get into things he shouldn't. A crate is also a place where he can retreat for a nap. Crate training at a young age will help your Miniature Schnauzer accept confinement if he ever needs to be boarded or hospitalized. Never stick your dog in a crate all day long, however. It's not a jail, and he shouldn't spend more than a few hours at a time in it except when he's sleeping at night. This happy go lucky breed is content doing just about anything that involves being with you. The perfect size for a tag-a-long companion, you can bring this friendly pooch just about anywhere. Whether it's at the park playing with other dogs, at a training class learning new tricks or simply snuggling on a cozy lap, the Miniature Schnauzer is easy to please. To keep it extra happy, each day should involve a light coat brushing to prevent uncomfortable mats in its double-coated fur. What Dog Breeds Have Blue Eyes? Are Human Pain Meds Safe for Dogs?